Biltmore Estate must be experienced to be believed! Photo credit – Biltmore Estate. Biltmore Estate Chihuly Glass Exhibit. Chihuly glass creations brighten the day and light up the night during Chihuly at Biltmore. Famed glass artist Dale Chihuly brings his incredible sculptures to Biltmore Estate during May – October. 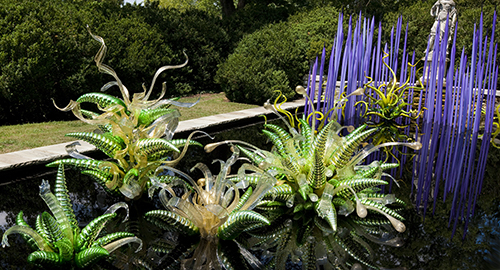 Chihuly’s fabulous glass creations, Biltmore’s first ever outdoor art exhibit, are displayed throughout Biltmore House and the surrounding gardens – providing a perfect complement to Biltmore’s Winter Garden, Italian Garden and Walled Garden. “The display has been in the planning stage for more than a year,” said Travis Tatham, director of entertainment and event programming at Biltmore. Each large scale structure is composed of numerous pieces and each required a base and power access. Lighting the delicate displays proved quite a challenge, according to Parker Andes, Director of Horticulture at Biltmore, who added that Biltmore’s landscaping team collaborated with the Chihuly team to arrange intricate designs, to complement each piece. The massive creations are spectacular by day but on Thursday through Sunday evenings, the amazing sculptures are carefully lit to provide a dazzling dimension to this fabulous exhibit dubbed, Chihuly Nights at Biltmore, and marks the first time Biltmore is hosting evening hours for an outdoor exhibit. On those nights, attendees can also enjoy a wine bar and live music in the gardens. Daytime viewing of the exhibit is included in general admission to Biltmore Estate while nighttime viewing requires a separate ticket which ranges in price from $57-$65. 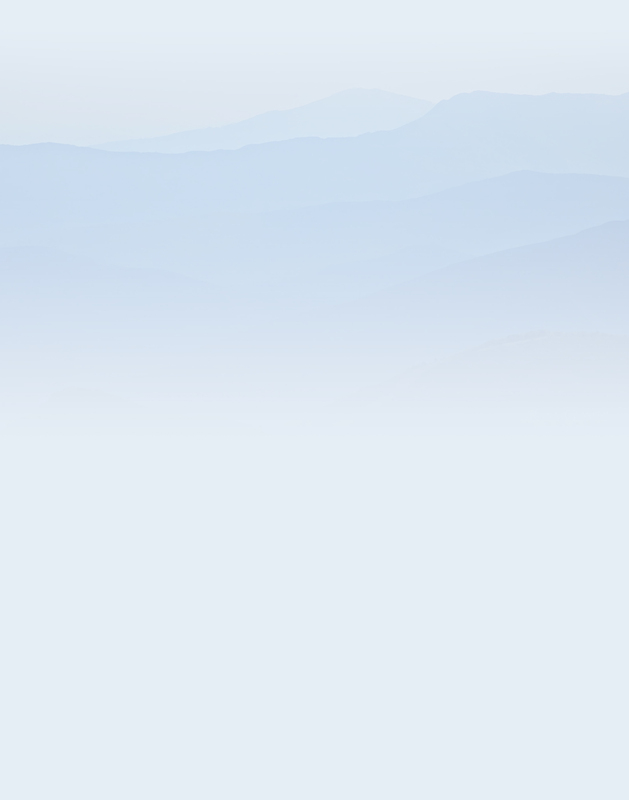 For more information call 800-411-3812 or go to Biltmore. Tour these magical gardens day or night for the visual experience of a lifetime! Photo credit – Biltmore Estate. announces a six-month celebration of Western North Carolina’s glass artisans during the Summer of Glass. 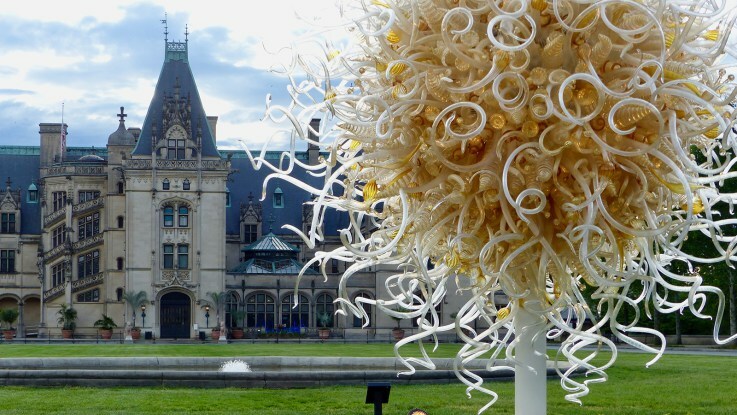 In conjunction with Chihuly at Biltmore, regional glass artists are offering several major events and exhibits. “The celebration kicked off with the Downtown Asheville Arts District First Friday gallery stroll and continues with four VIP weekends throughout the summer that include studio tours, hands-on opportunities, tickets to Chihuly at Biltmore, and a few collector home visits,” said Sherry Masters, owner of Art Connections tours. For more information about Summer of Glass, visit GLASS.